Heinz Guderian - master of the Blitzkrieg and father of modern tank warfare - commanded the German XIX Army Corps as it rampaged across Poland in 1939. Personally leading the devastating attack which traversed the Ardennes Forest and broke through French lines, he was at the forefront of the race to the Channel coast. Only Hitler's personal command to halt prevented Guderian's tanks and troops turning Dunkirk into an Allied bloodbath. Later commanding Panzergruppe 2 in Operation Barbarossa, Guderian's armoured spearhead took Smolensk after fierce fighting and was poised to launch the final assault on Moscow when he was ordered south to Kiev. In the battle that followed, he helped encircle and capture over 600,000 Soviet troops after days of combat in the most terrible conditions. 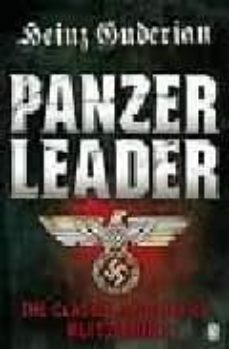 "Panzer Leader" is a searing firsthand account of the most effective fighting force in modern history by the man who commanded it.